Samford University's Department of Physician Assistant Studies nurtures and develops students to provide empathetic, compassionate patient care and service to the community. Anchored in Christian understanding, the mission of the Samford University's Department of Physician Assistant Studies is to nurture and develop students both spiritually and academically to provide empathetic, compassionate patient care and service to the community. Our fully integrated curriculum provides comprehensive medical knowledge and skills that will prepare you to be practice-ready for a variety of clinical settings, and with small class sizes, our faculty will know you by name. As a part of Samford’s College of Health Sciences, you will learn in an interprofessional setting, studying alongside students in other health care disciplines, like nursing, pharmacy, physical therapy, respiratory care, social work, nutrition and more. Samford will begin enrolling students for August 2019, and was awarded accreditation-provisional status from the Accreditation Review Commission on Education for the Physician Assistant (ARC-PA) in April 2019. Samford’s Master of Science in physician assistant studies is designed for students who seek to answer their calling to care for others through optimal team practice. Samford will begin enrolling students for August 2019,and was awarded accreditation-provisional status from the Accreditation Review Commission on Education for the Physician Assistant in April 2019. Our program offers diverse clinical experiences that are overseen by quality preceptors who are invested in your education. Located in Birmingham, Alabama, Samford University is surrounded by some of the finest health care facilities in the world, from acute care to specialty clinics. All students will be required to complete 48 weeks of clinical rotations over their final three semesters of the program. Through these four-week rotations, you will gain experience in areas like family practice, internal medicine, pediatrics and physiology, along with your choice of elective rotations in areas like trauma, neurology, cardiovascular surgery and more. Health care simulation is an innovative and exciting way to learn and practice caring for patients. Through the use of simulation, physician assistant studies students will experience caring for a patient in a safe environment with no risk of harm to the patient. 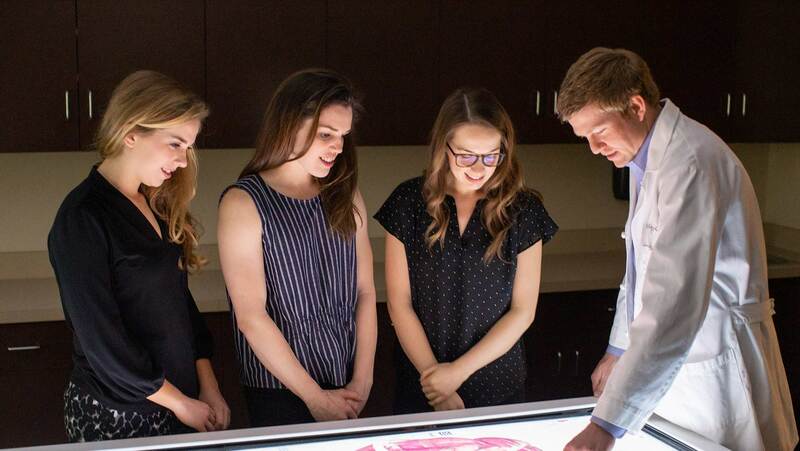 Our Experiential Learning and Simulation Center offers discipline specific and interdisciplinary learning opportunities across the simulation continuum. High fidelity simulators respond realistically to care and allow students to practice skills until they are comfortable with assessment and procedures. The center also features adult, pediatric and neonatal simulators and a variety of patient care settings including inpatient hospital rooms, and operating room and even a simulated home unit.